Wilmot Gardens is free and open to the public year-around. We encourage patients, caregivers and family members to visit the gardens as a place of respite while receiving care from any of the surrounding UF Health facilities. 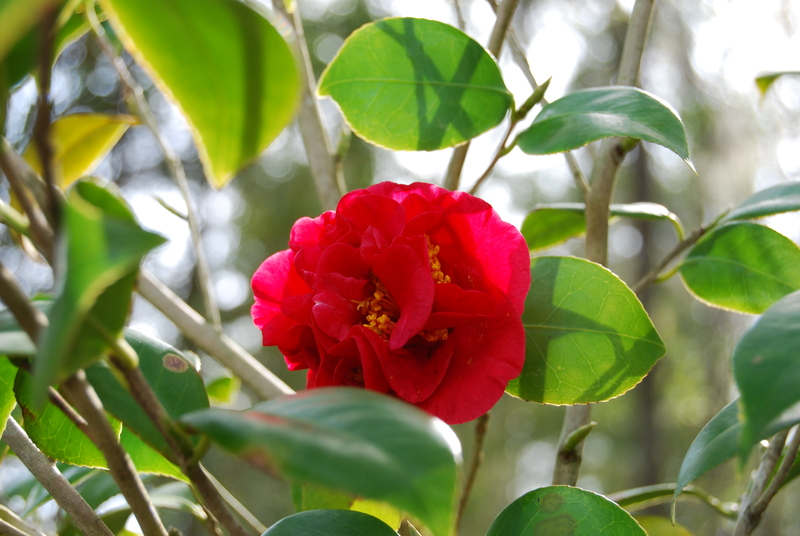 History buffs may enjoy the gardens’ historic marker, and lovers of nature or gardening will enjoy learning more about the native plant life, including 125 varieties of camellias, and the gardens’ place in American horticulture history. Learn more about the individual gardens here. Tours can be scheduled by appointment for any interested in learning more about the gardens’ history or plant life. Request a tour here. On occasion, the conference center may be booked for a meeting or the greenhouse may be closed for a private therapeutic horticulture session. Hours the greenhouse is open will be posted each semester. However, the gardens are always open for your perusal, even when the facilities are otherwise occupied.